The ArtsOhio Blog is the Ohio Arts Council’s way to share stories that highlight the arts in Ohio, feedback from the field, interviews with artists and staff, and more. Sign up for the ArtsOhio newsletter to receive a curated selection of posts each month. From hotel guests to bar patrons, many have passed through the doors of Hicksville’s Huber Opera House and Civic Center throughout its 136-year history. Now, the renovated Huber has a new purpose: Serving as a training ground for aspiring theatre professionals. 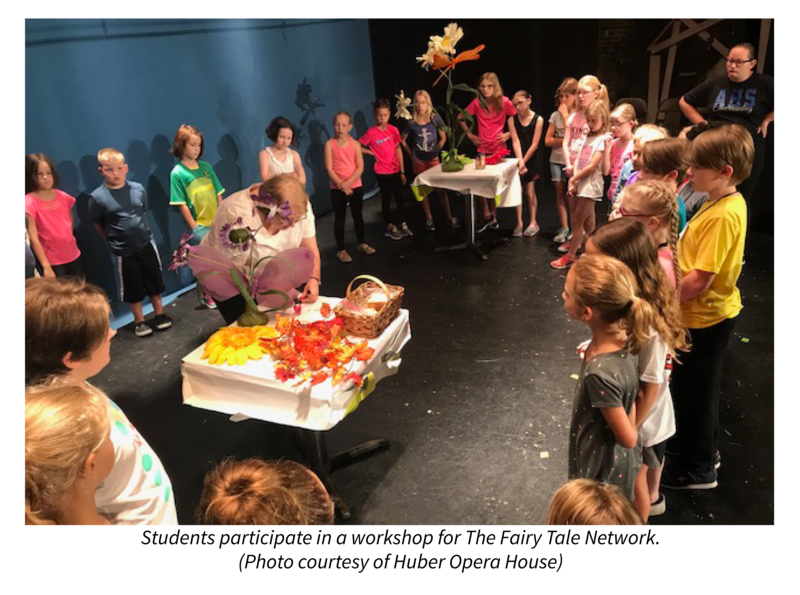 Through an Ohio Arts Council (OAC) ArtsNEXT grant awarded for state fiscal year 2018, the Huber Opera House offered youth programming through its Huber Theater Academy project, which provided classes for students ages 6-10. 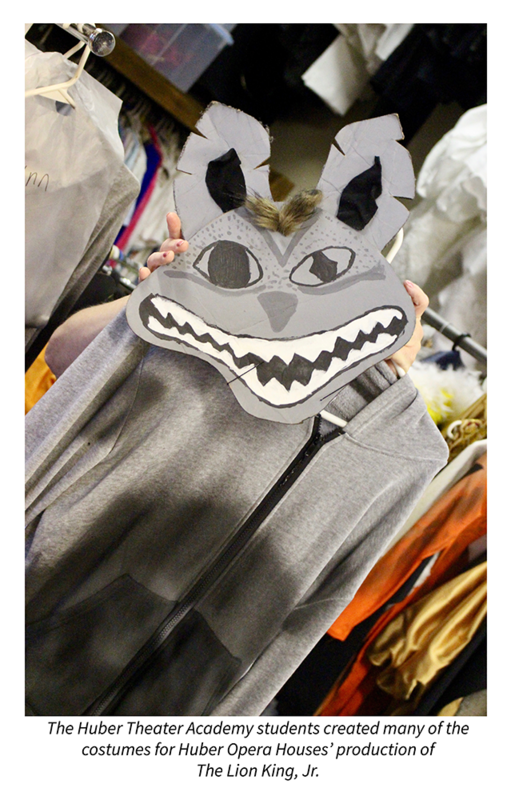 Within a six-day span, they auditioned, rehearsed, created set pieces and props, and then performed The Fairy Tale Network, a fast-paced one-act show inspired by fairytale characters. 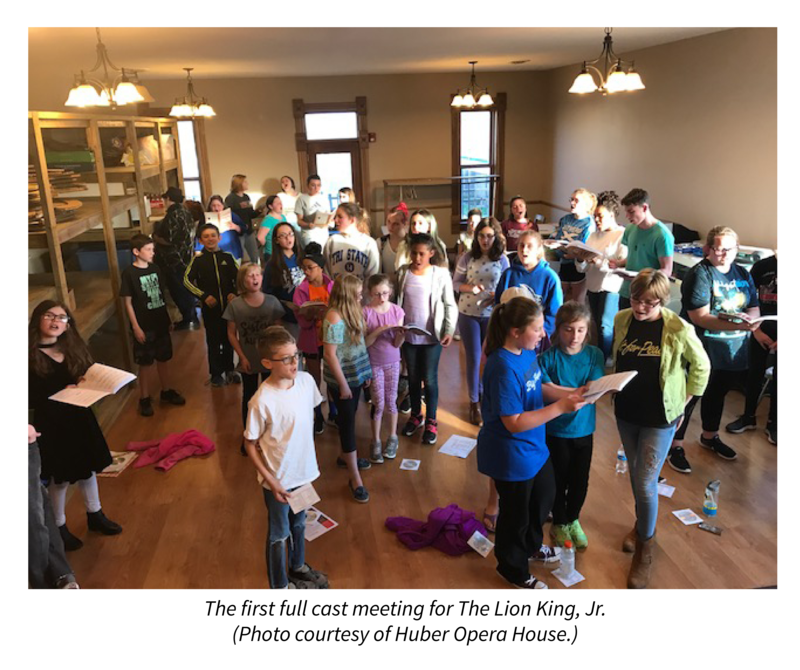 A second iteration of the Theater Production Academy for students ages 12-18 focused on the Huber’s summer youth production, The Lion King, Jr., performed July 13-15. 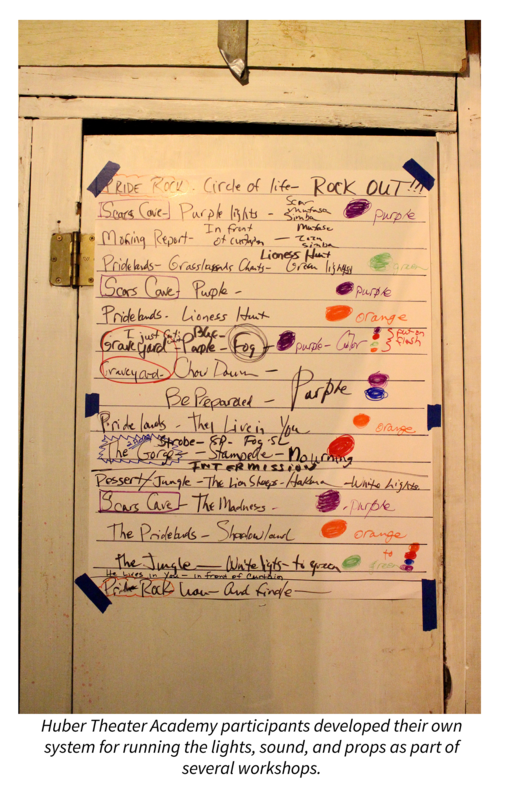 The Huber presented free workshops taught by community members focusing on a range of topics, including lights, sound, costume design, set construction, and staging. Feichter said the experience was impactful for the students who participated because the schools they attend are often limited in the arts programming they can provide. Over the course of several months, the Huber’s workshops welcomed students from two states, five counties, and 12 school districts. For some participants, the theatre in Hicksville was the closest performing arts organization. Hall, who remembers watching her first movie in the theatre—it was Cinderella, she was 4—said the Huber has been a community staple for decades. Now, the theatre’s staff hopes to continue these traditions through new programming and outreach to a younger generation. From running the lights to sweeping the floors, the students have shown that they not only want to take care of the Huber, they want to see it thrive. Take, for example, the response to the Theater Academy workshops, Feichter said. Sixty-three students made up the show’s cast. 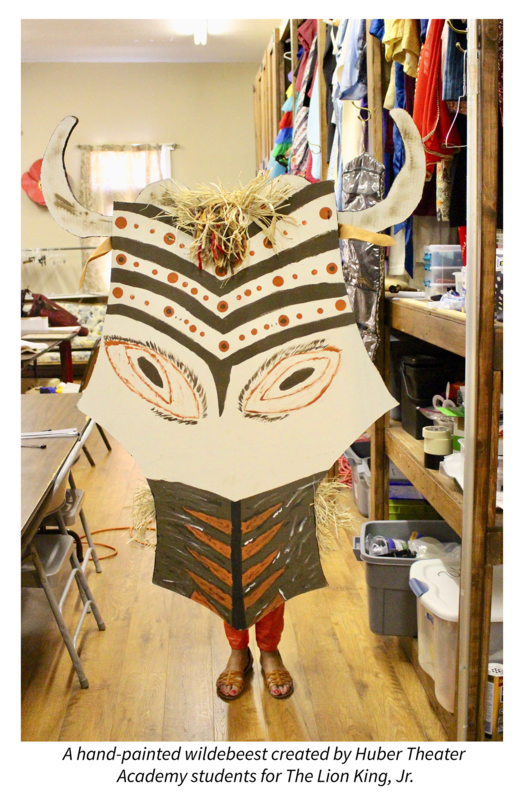 Meanwhile, workshop participants worked diligently behind the scenes to paint the musical’s sunset backdrop, sew shells onto the lioness’ costumes, and create props and lighting effects to turn the Huber stage into the African savannah. Having the opportunity to become involved both on and off the stage has shaped some of the students’ personal goals as well. Based on the success so far, hopefully many more. Feichter said there are already plans in place to expand the program. But first, Feichter added, they really just want to celebrate with the community on opening night. When asked what they were most excited for Lion King audiences to see, the two friends of 15 years looked at each other and smiled. For more information about the Huber Opera House and its upcoming season and programs, visit huberoperahouse.org. For more information about ArtsNEXT and other OAC grant programs, visit oac.ohio.gov/grants.